the United States flag has only 15 stars. Within the gates there is a Canteen and Trading Post—stocked with pelts, guns, knives, and Indian craft. 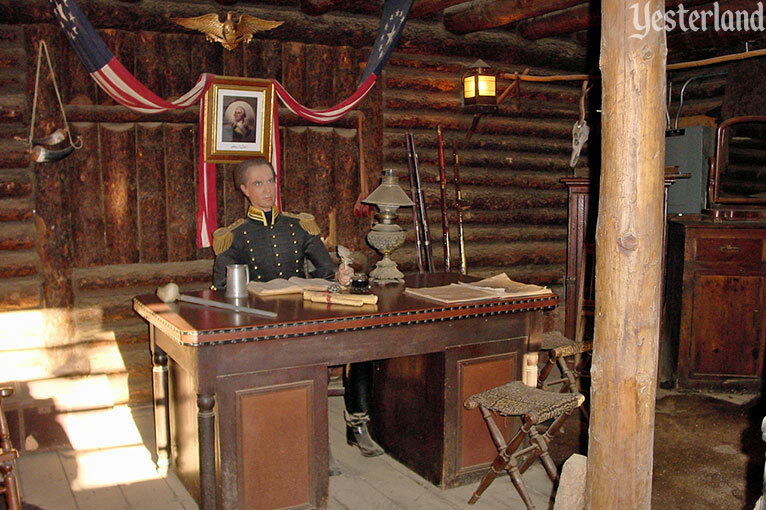 In the Regimental Hdqrs., Davy Crockett and George Russell, U.S. Army Scouts, can be seen reporting to Maj. General Andrew Jackson during the Cherokee Indian Campaign. the deer, moose, bear and wildlife of the primitive forest. mute evidence of a treacherous attack. 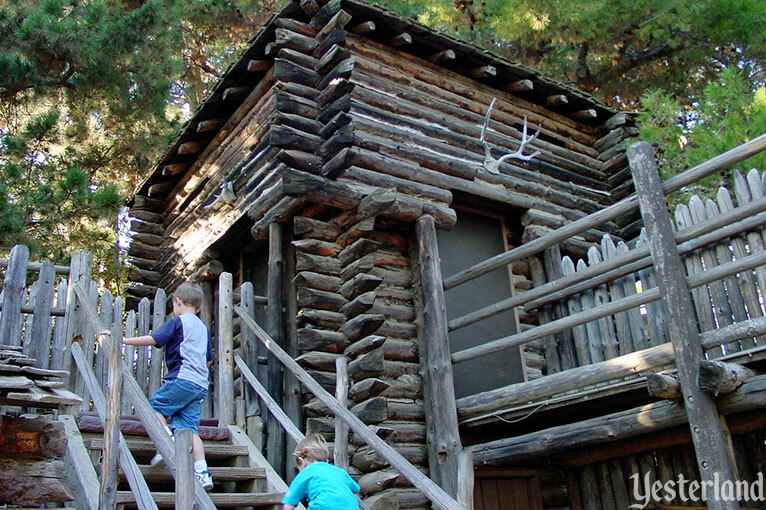 Fort Wilderness is built from actual logs. The materials give the fort an authentic look. Wood requires care to protect it from the elements and from termites. It’s a good thing this park is known for impeccable maintenance. When you’re inside the fort, you can pretend to be back in the early 19th century. There was danger on the frontier—hostile Indians, wild animals, and an occasional war. Military outposts such as this one provided some security from those dangers. Look into the dusty interior of Regimental Headquarters. Hmmmmm… Davy Crockett and George Russell must be out scouting. But they used to be in there. Is that really Major General Andrew Jackson? Climb up to the rifle roost. Point the rifles and pretend to shoot. Gaze over the parapets at all there is to see. Go down to the Canteen and buy a Pepsi-Cola. And you might want to use a restroom too. 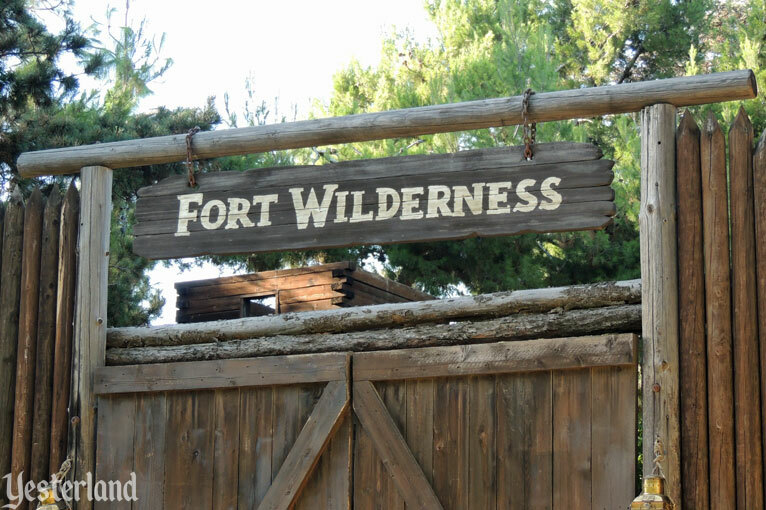 When you’re ready to leave Fort Wilderness, don’t go out the same way you entered. Take the secret escape tunnel instead. Disneyland opened in July 1955 with an island in the middle of the Rivers of America. The Mark Twain Riverboat traveled around it. But there was no way for guests to get to the island—unless they considered swimming to be an option. 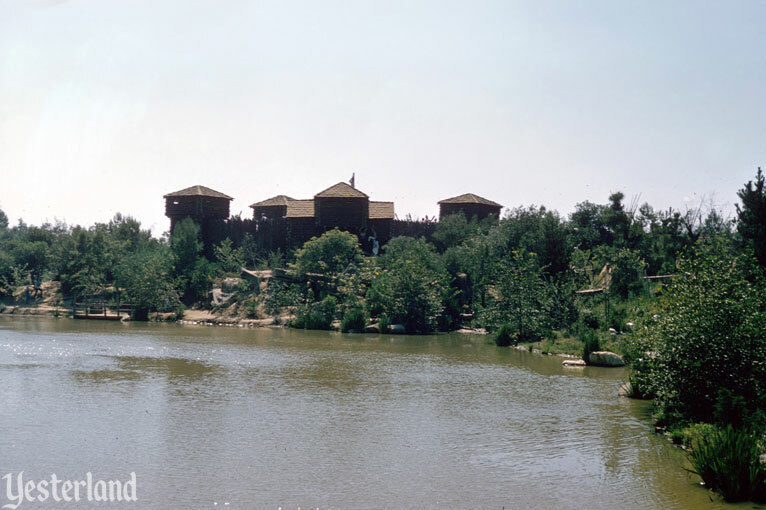 That changed in May 1956 with the opening of Tom Sawyer Island. A small fleet of rafts provided transportation from a dock near the Chicken Plantation restaurant (a site near what is now New Orleans Square) to the old “Tom’s Landing” location between the island’s grist mill and fishing pier. 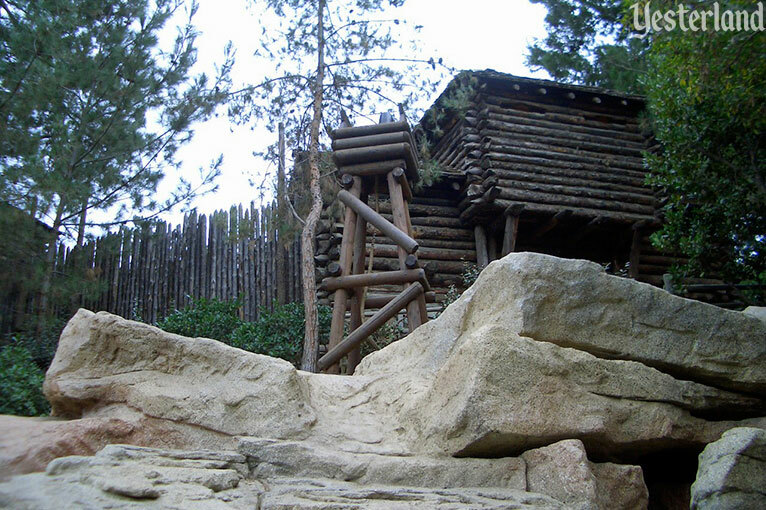 Castle Rock and the Pontoon Bridge would not be added until 1957, but Fort Wilderness was one of the original features of Tom Sawyer Island when the first guests were welcomed. In the mid-1990s, Disneyland management began to cut back on maintenance throughout the park to increase short-term profits—at a time when much of Disneyland was reaching an age when it needed more maintenance, not less. The Burning Settler’s Cabin stopped burning. Perhaps the deterioration of Fort Wilderness was inevitable due to age, but perhaps it would have been avoidable with proper maintenance. In January 2001, a 6-year-old girl lost most of an index finger when she slipped while playing with one of the toy rifles in the rifle roost. The rifle roost was boarded up. 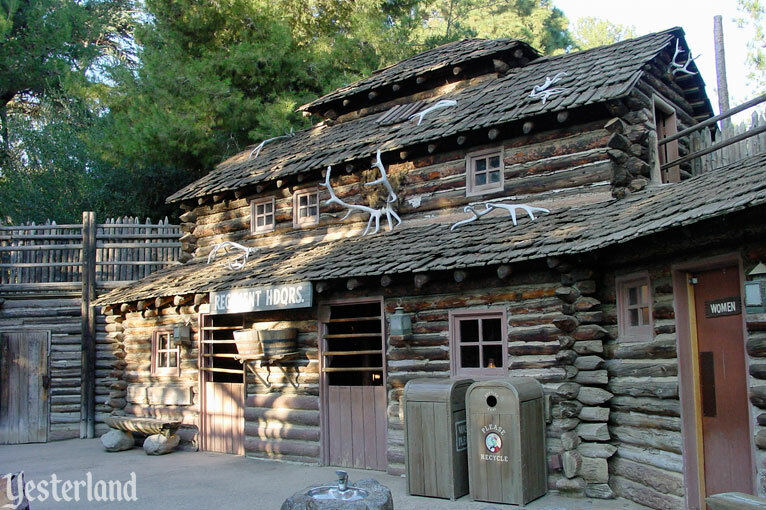 (If you look at the 2002 photo of the rifle roost earlier in this Yesterland article, you’ll see that the rifle roost is inaccessible.) 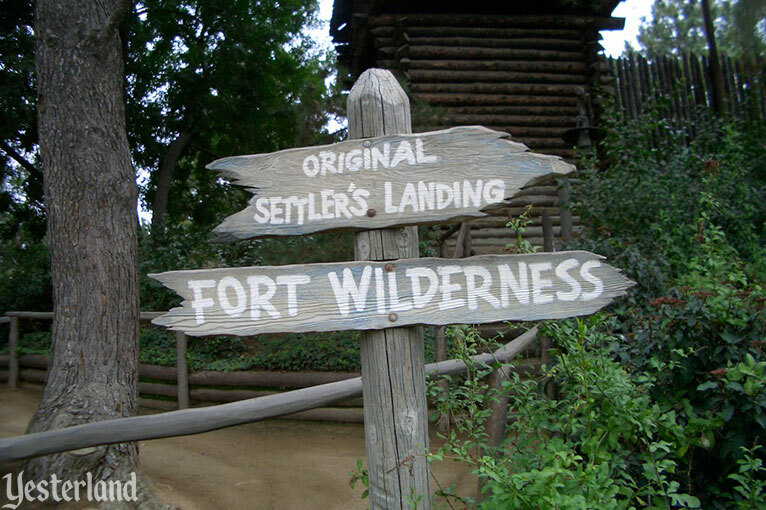 Fort Wilderness stayed open, but Disneyland management (and undoubtedly Disneyland’s legal staff) became acutely aware that Tom Sawyer Island needed attention. 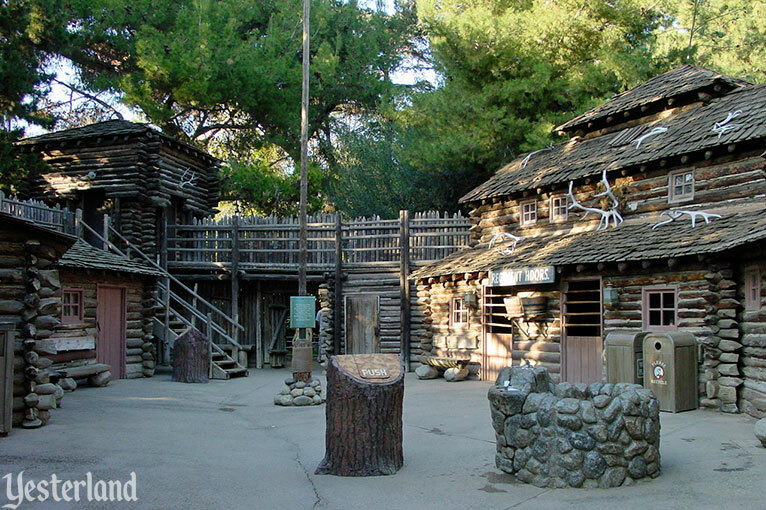 Disneyland drew up plans to improve the condition and safety of Tom Sawyer Island. A massive improvement project in 2003 coincided with draining the Rivers of America. 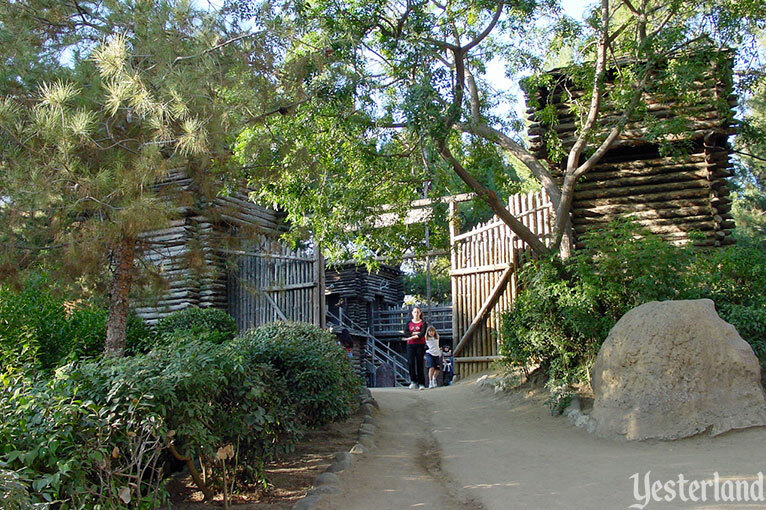 When Tom Sawyer Island reopened to guests in summer 2003, the results were well received. 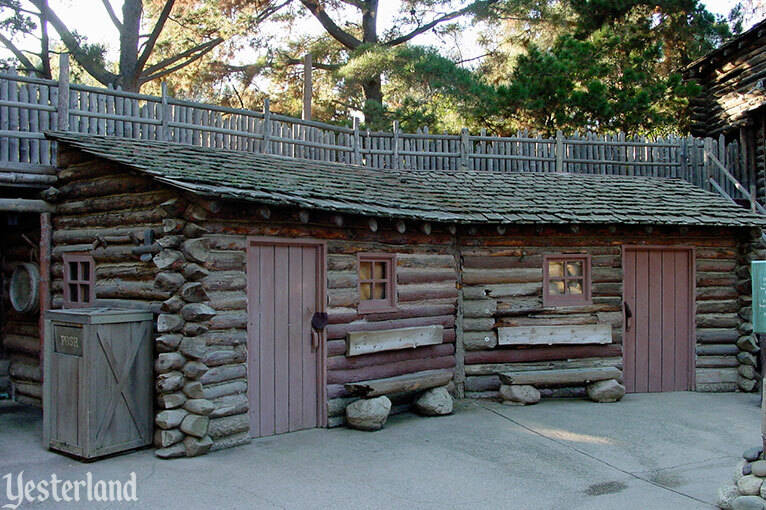 Although the reason for the improvements may have been concern over liability, guests found a Tom Sawyer Island that was in far better shape than the previous year. Guests could once again enjoy the swaying suspension bridge, which had been closed for several years. It and the barrel bridge had both been skillfully rebuilt. The island had plenty of safety improvements, but it still offered plenty of fun. 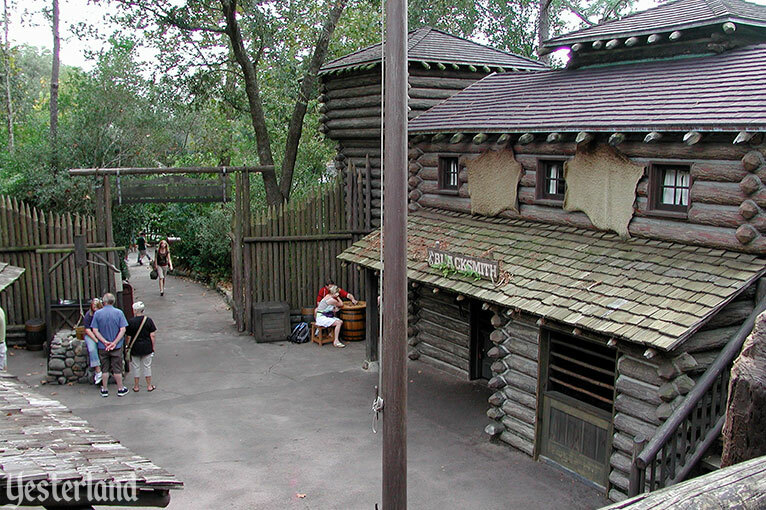 However, when the guests reached Fort Wilderness, they found that the mighty stockade gates were closed. The elements and the termites had won. The gates never reopened for guests. 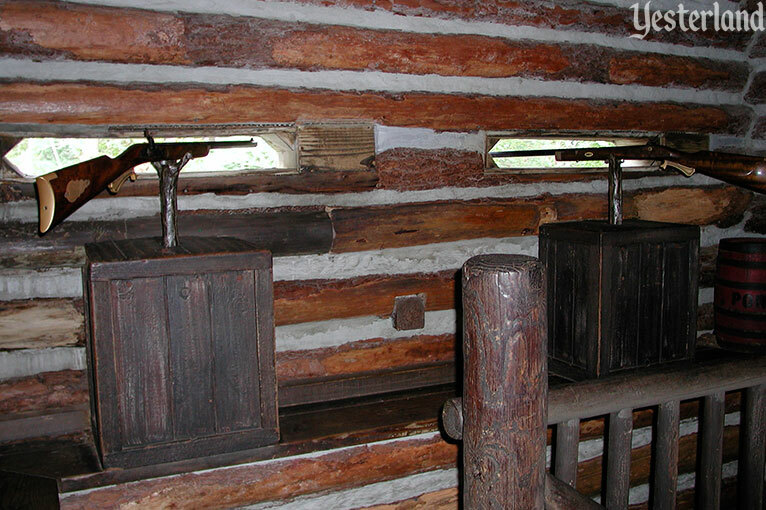 Guests could only peek between the timbers to see the interior of the fort. 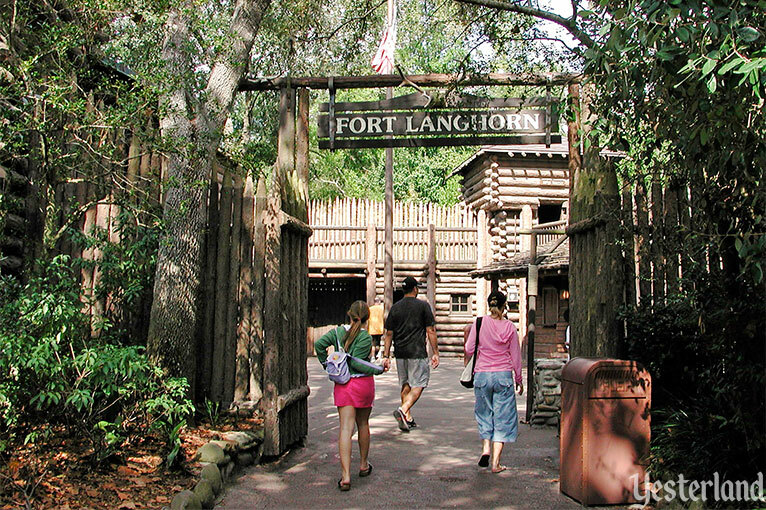 For four years, Fort Wilderness stood with its gates closed. The wooden structure had deteriorated too much. It could not be rehabilitated. Although Fort Wilderness was no longer open to guests, performers of the nighttime show Fantasmic! used it as a costuming area. 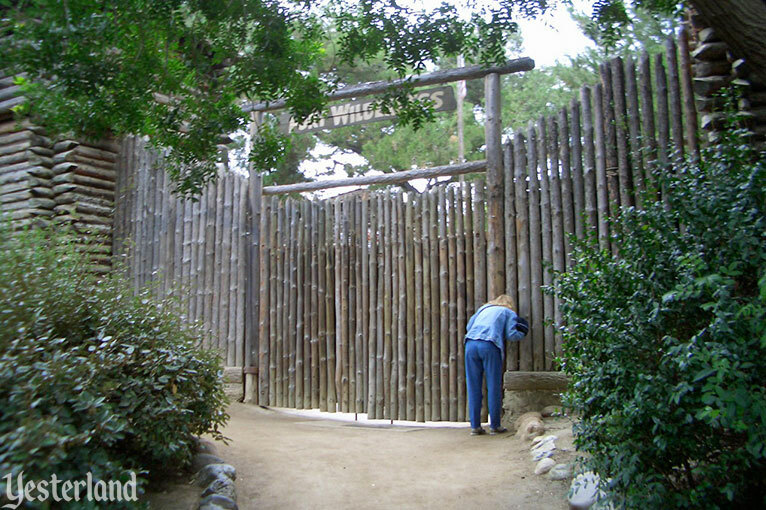 The walls were reinforced with wooden framing beams within the fort—functional, but not pretty. The timing seemed odd, given the attention that would be focused on the island with the May 25, 2007, reopening of Tom Sawyer Island as Pirate’s Lair on Tom Sawyer Island. Fort Wilderness returned as a sad shadow of what it had once been. Not only is the newer fort not open to guests, it’s not even a convincing frontier fort from the outside. It’s there to serve the needs of Fantasmic! 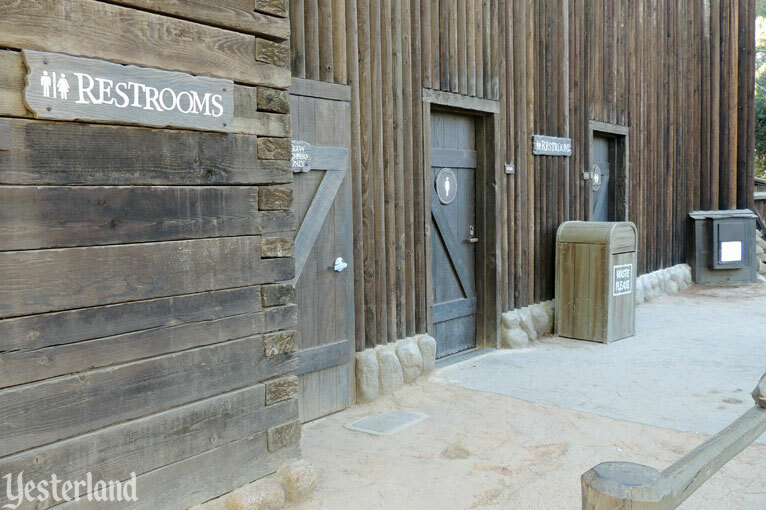 The newer Fort Wilderness has guest restrooms on its exterior. That can be good news for guests who find themselves in need of indoor plumbing while on the rustic island. But doors in the stockwade wall? 2,200 miles away, the story is different. 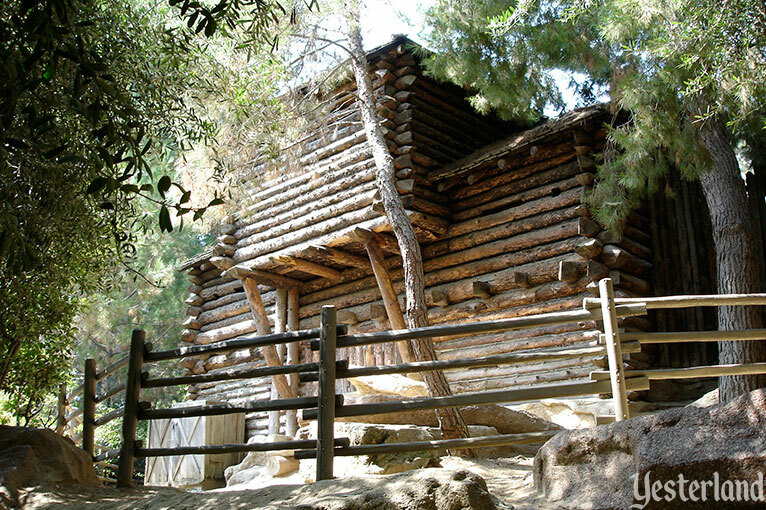 Magic Kingdom Park guests at Walt Disney World can still explore a fort on Tom Sawyer Island. The Florida fort opened as Fort Sam Clemens in 1973. It became Fort Langhorn in 1996. If those names sound familiar, it’s because your English teacher told you the Mark Twain’s real name was Samuel Langhorne Clemens. Oddly, Langhorne ends with the letter E, but the fort omits that letter. 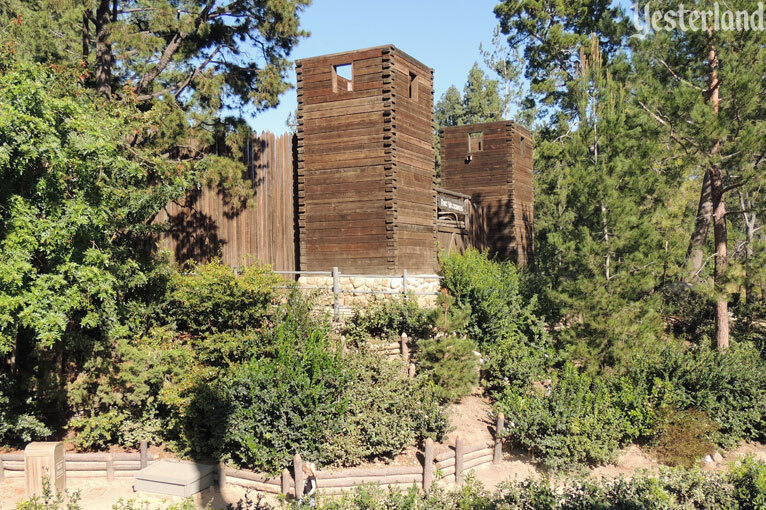 The timbers of Fort Langhorn are in great shape because they’re fiberglass, not wood. This version never looked quite as authentic as the California original, but at least it’s still around. At Fort Langhorn, children can still pretend to shoot anything at which they can point the fort’s toy rifles.